Big Tech is hiding in plain sight. Cell phones were still simply mobile, small, and expensive telephones. There was no concept of a phone as a handheld computer. Today, five companies — Amazon, Apple, Facebook, Microsoft, and Alphabet (Google’s parent company) — have a collective worth of more than $3 trillion. Yet such transnational companies remain mostly exempt from the sort of regulations and accountability faced by most other industries. Major corporations understandably fear product-liability laws. Oil companies are hectored by class-action lawsuits and headline-grabbing attorneys badgering them to pay up for supposed climate change brought on by commuters filling up each week. Tobacco companies have paid out billions of dollars due to cigarettes’ contribution to lung cancer. Pharmaceutical corporations are often forced to pay millions in fines when their prescription drugs cause dangerous side effects. Yet every year, nearly a half-million Americans are injured in traffic accidents due to distracted driving involving a cell phone. No one knows how many millions of people worldwide are addicted to the apps on their smartphones — a habit that can be harder to break than an opiate addiction and can leave addicted users in a similar zombie-like condition. Yet unlike Big Pharma, Big Oil, and Big Tobacco, Big Tech is rarely held responsible for the deleterious effects of its products on millions the world over. In most states, public boards and commissions regulate companies that provide public utilities. The theory is that such corporations use public spaces — from power poles to underground pipelines — to serve a captive public domain and provide an essential need. Radio and television stations are likewise regulated by the federal government on the similar assumption that the airwaves are not private property. Facebook and Google are now called a “duopoly.” The two companies rake in roughly half of all Internet ad revenue. Both companies sometimes censor and electronically snoop on their customers, massaging everything from the daily news to what we should buy. Could a Silicon Valley startup company offer an alternative to either Facebook or Google? It would likely be bought out or crushed the moment it became large enough to gain notice. First, their CEOs wisely cultivate the image of hipsters. The public sees them more as aging teenagers in T-shirts, turtlenecks, and flip-flops than as updated versions of J. P. Morgan, John D. Rockefeller, or other robber barons of the past. Second, the tech industry’s hierarchy is politically progressive. In brilliant marketing fashion, the Internet, laptops, tablets, and smartphones have meshed with the hip youth culture of music, television, the movies, universities, and fashion. Think Woodstock rather than Wall Street. Corporate spokesmen at companies such as Twitter and YouTube brag about their social awareness, especially on issues such as radical environmentalism, identity politics, and feminism. Given that the regulatory deep state is mostly a liberal enterprise, the tech industry is seen as an ally of federal bureaucrats and regulators. Think more of Hollywood, the media, and universities than Exxon, General Motors, Koch Industries, and Philip Morris. The tech industry’s hierarchy is politically progressive. Third, the tech industry boasts that it is green and clean. Plastic cords and screens almost magically produce podcasts, videos, email, social media pages, and the Internet. Few in the public worry about how lithium-ion batteries are made, or where and how their ingredients are mined. Pods and pads do not emit smoke. They require no gas, grease, and oil. Smartphones and laptops apparently were spontaneously generated out of the clean air of the cool San Francisco Bay area and will dissolve back into it when they wear out. Finally, high tech is an American specialty and a huge earner of foreign exchange. Politicians are understandably afraid of turning a golden goose into a sick hen. Without taxable trillion-dollar revenues from Facebook, Google, and Apple, a dysfunctional, cash-strapped California would likely go broke. The result is that high tech has become is a brilliant chameleon — invisible in plain sight. 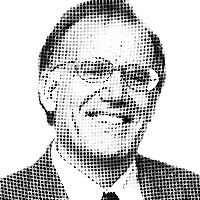 — NRO contributor Victor Davis Hanson is a senior fellow at the Hoover Institution and the author of The Second World Wars: How the First Global Conflict Was Fought and Won, released in October from Basic Books.